Wow what productive day!!! The soil has been toiled, the roof has been sealed, we’ve got over a van full of stuff for the free shop and an abundance of bike parts. During the day a group of people worked together to start repairing the roof. We bought some sealant and the cracks have all been filled up – got to wait for it to dry before moving on to the next part. We hired out a man with a man for the evening and crammed in as much as we could into a four hour slot. Simultaneously our kitchen team were working hard at cooking up a delicious meal for all the hard workers. We had some crew over at south London, filled up the van full of bike parts; frames, chains, wheels, and had a whole team on the other end emptying out the van at full speed. 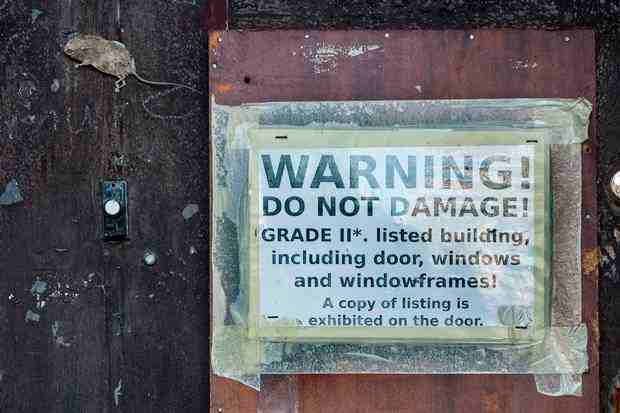 Now we just need to set up the space with some tools and soon the bike workshop will be good to go. The van then made its way up to north London to where more crew we waiting to pack up a huge donation of stuff for our free shop. Downstairs is now pilled up with clothes, desks, computer screens and all sorts of great stuff we can give away. We then met up with the Good Gym; two of us went to meet half the gym at Dalston Eastern Curve and the rest of the gym came straight to 195. The Good gym had run as a group from London fields to get to their destinations. 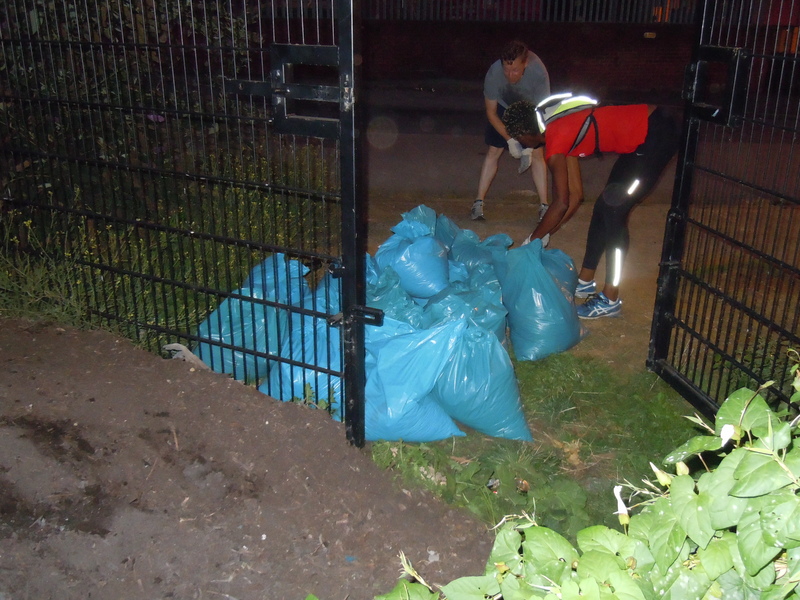 At Dalston Eastern curve, a group grabbed some shovels and bagged up 21 big bags of compost in no time before jogging over to 195. 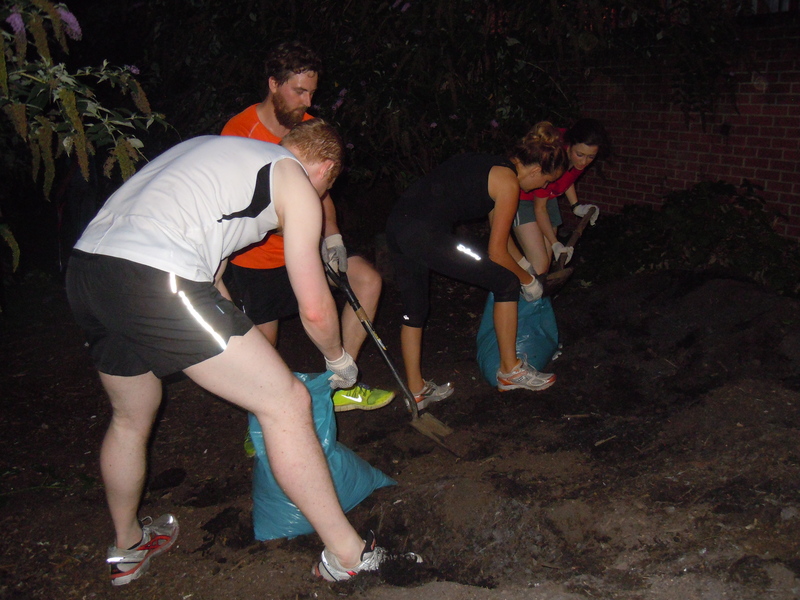 While this was happening the other half of the Good Gym were toiling away at the soil in the front garden of 195. It was amazing to see how a group of people coming together could complete a task in such a short amount of time. The energy and enthusiasm was contagious. Once the compost had been dropped off, the van went off again to pick up more bike parts. At the perfect moment, the kitchen team brought down the amazing food that they cooked for everyone. We all tucked into food and praised ourselves at how much had been done. 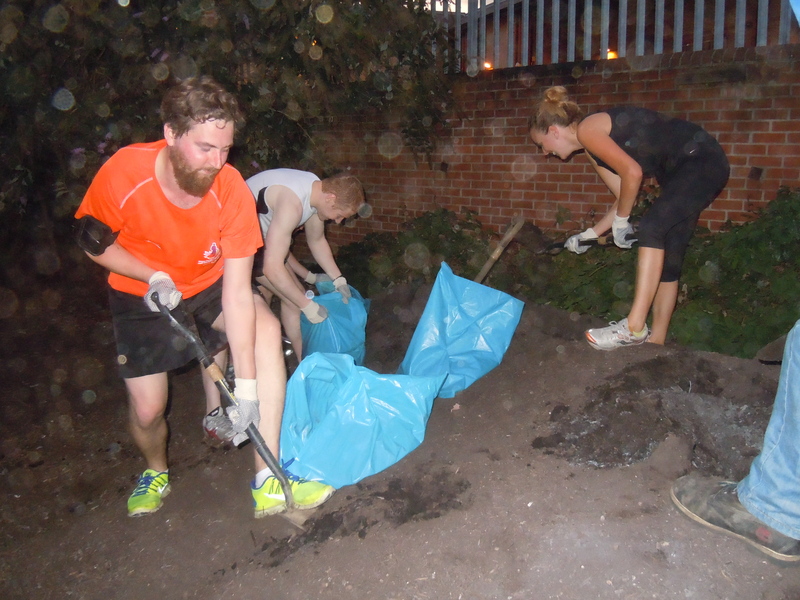 Thank you to the Dalston Eastern Curve for their donation of compost, and thank you so much to the Good gym for all digging they did. Having so many hands on one patch of soil really made all the difference. Its been a really productive day, the crew are all well fed but exhausted. 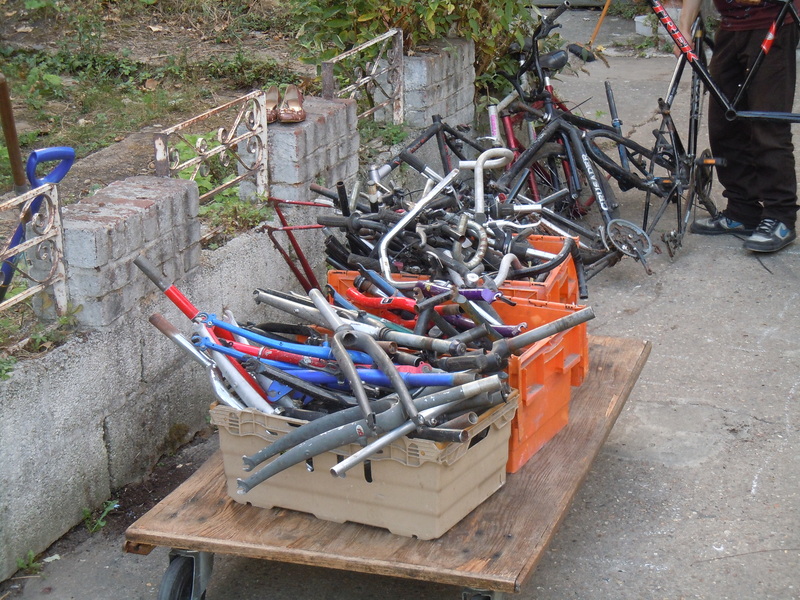 We’ve now got enough materials to begin our bike workshop and to start on the gardening workshop. It all so exciting. Tomorrow we’re having an open work day. We’ve got the compost for the garden so can being working with it and start planning for planting the winter veggies. There will be people in the kitchen all day making sure there’s enough food for everyone and we’ll all be having a great time. 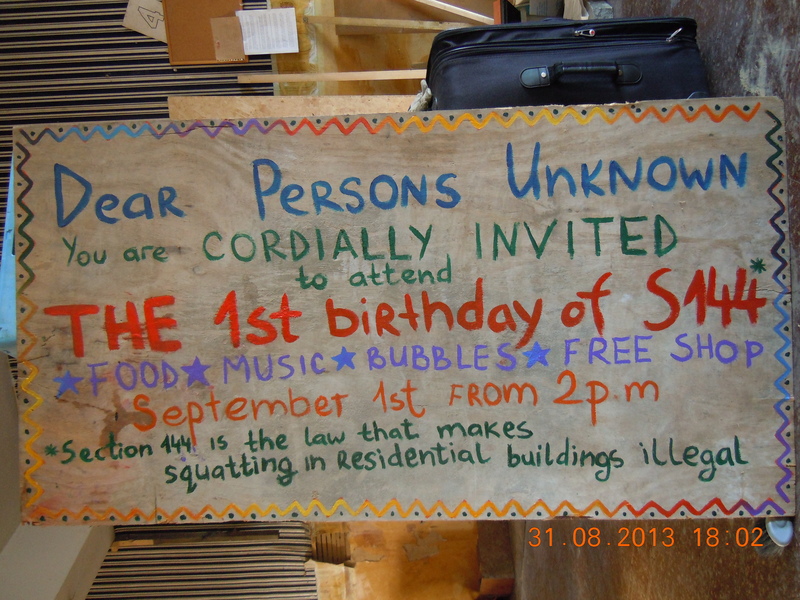 Wednesday 4th September— Come and join us from 9am and lend a hand to give a space to the Hackney community. 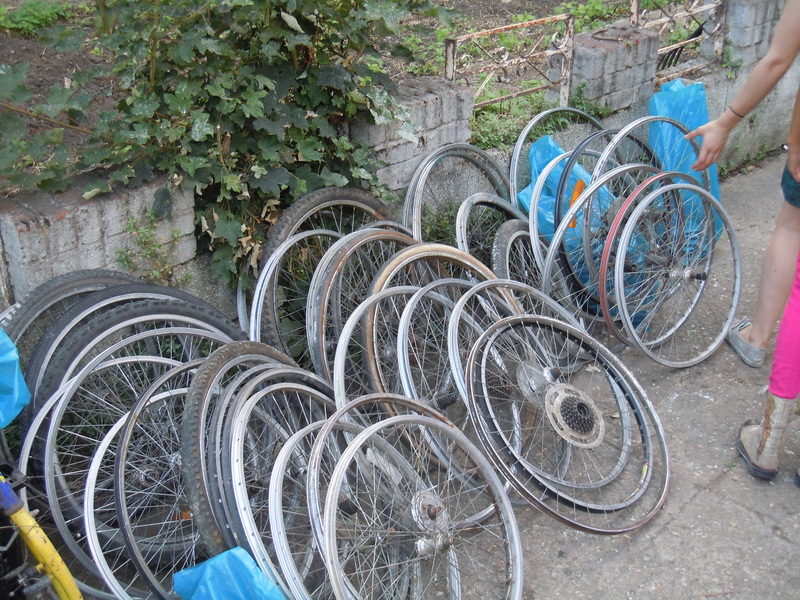 Get your hands dirty in the garden or help us clean out the basement so we can begin our wonderful bike workshop. Such a productive day by 195 mare street is licensed under a Creative Commons Attribution-NonCommercial-NoDerivs 3.0 Unported License.